In our years of experience as a trusted roofing contractor, NC Rebuild, Inc. has seen many common signs in homes with failing roofs. These are important indicators that your roof needs to be replaced as soon as possible. To avoid getting to this point, find out what to watch for and why you should be concerned about them. While cracked or missing shingles are definite problems, some homeowners overlook curling ones. Remember that they shouldn’t curl inwards or on the edges since they become easier to tear off. As a common addition to any residential roof repair or installation, flashings are metal sheets that keep moisture from the intersections. Any bends or cracks can render it useless, so keep an eye out for those. Your shingles are not meant to be a garden since any growth between cracks can widen it and create larger issues. Watch out for any plant life that protrudes from underneath or in between the shingles. A good-looking roof is usually a healthy roof. It’s a reflection of both the structure’s integrity and its age. When damages occur and time goes by without it getting repaired, it’ll start to fade. If you notice any fading, call NC Rebuild to inspect it before you do anything else. Speaking of age, it’s important to recall how every shingle has a service span. It can only reach a number of years before it turns useless. If your roof is approaching twenty or thirty years, you have to change it. A leak is the most dangerous enemy of the roof. Whether it comes from a faulty residential gutter installation or a broken roof, signs of leaking is a serious problem. If you see dark stains or pooling water, you need a licensed professional’s help. The best way to address your roof’s issues is by hiring an experienced contractor like us. We always do an in-depth inspection to develop the right strategies to address them. 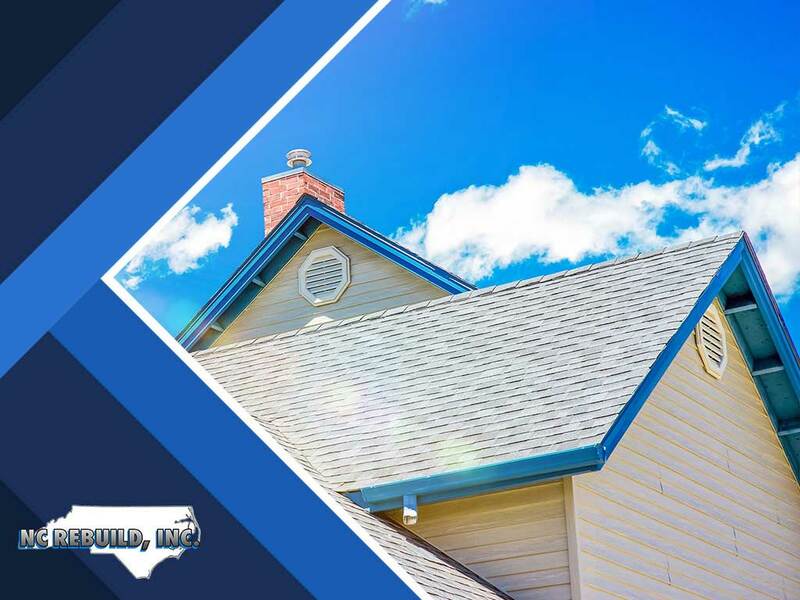 NC Rebuild, Inc. offers complete home improvement services, including preventive roof repair and replacement. Call us today at (919) 289-5771 to learn more. We serve residents in and around Raleigh, NC.